My blog is very much full of photos. I have been obsessed with taking photos from a very young age right into my teenage years. I have albums and albums of photos of friends and family throughout my life. I am no different today especially now that I have children of my own. There isn’t one day I don’t take a photo of something or someone and share it. They are memories I don’t want to forget and love to look back on. I also am a huge fan of photos in my home on display. I have more than my fair share of frames adorning the latest favorite captures. So when I was ask to team up with the amazing Photo Panda I jumped at the opportunity. 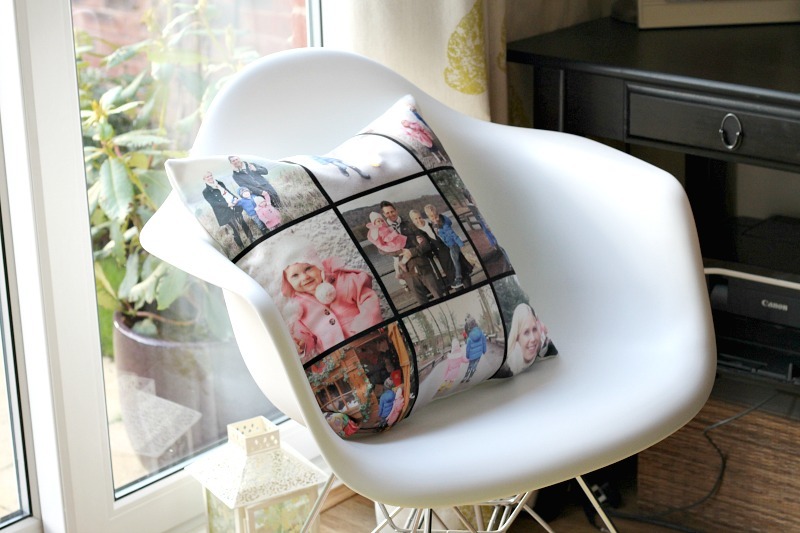 Display my latest adventures with my family on a large canvas cushion, oh yes please! 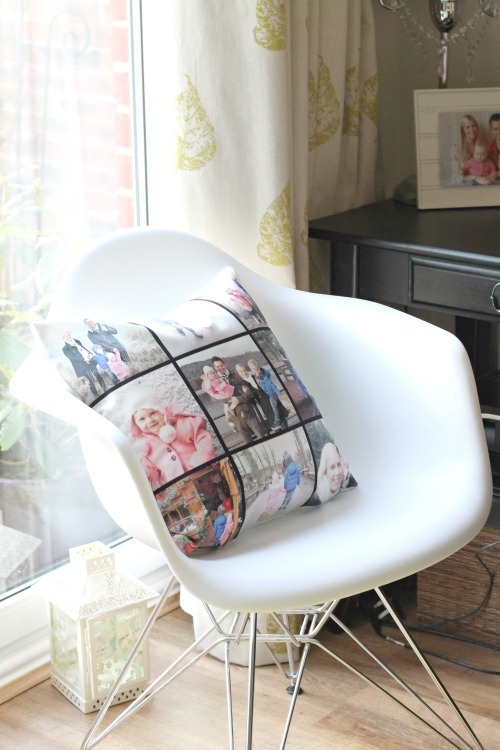 It was hard to choose which photos I wanted to put on my cushion but I wanted it to be one whole adventure on it. We recently went on a family adventure to Center Parcs and I hadn’t been able to display our family vacation photos yet. I love a good collage so I choose nine favorites from our trip for my pillow, each one holding a great moment in my memory. There are many other design options to choose from whether you want one photo or other collage options. See them below. My new cushion lives on my office chair where I can admire it daily. 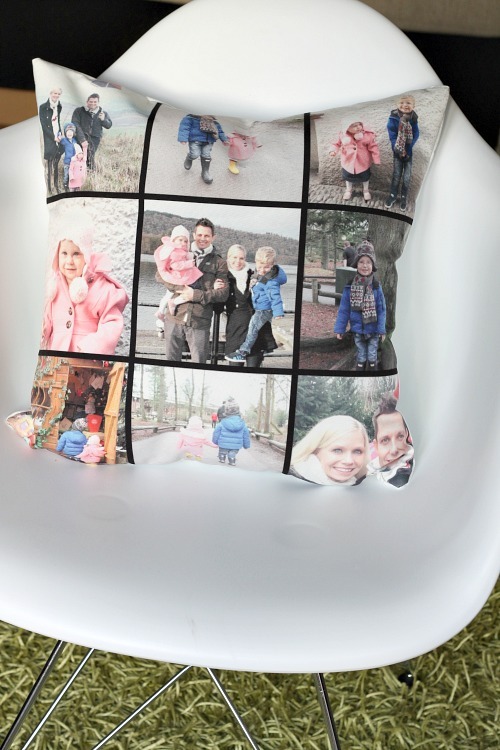 The kids love seeing themselves on a cushion and point to it often. It’s the perfect size at 18 x 18 for a chair or accent on a couch or bed. I love large cushions about the house. Cushions are a favorite home accessory of mine. This one really brings a personal touch to my office space too. 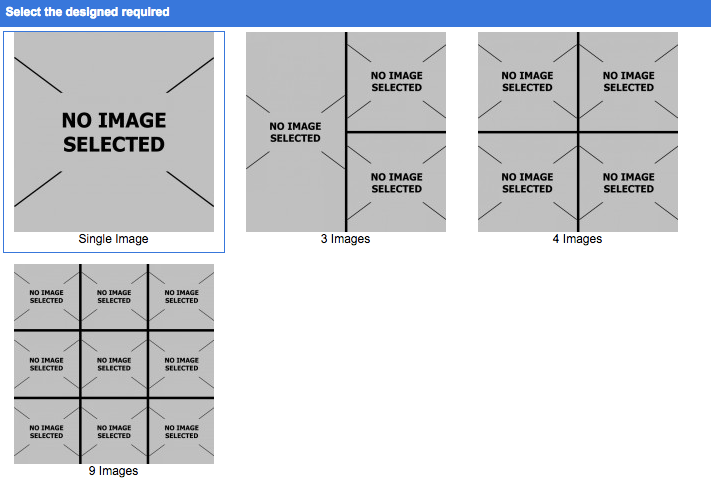 It was really user friendly and quick to upload my photos. 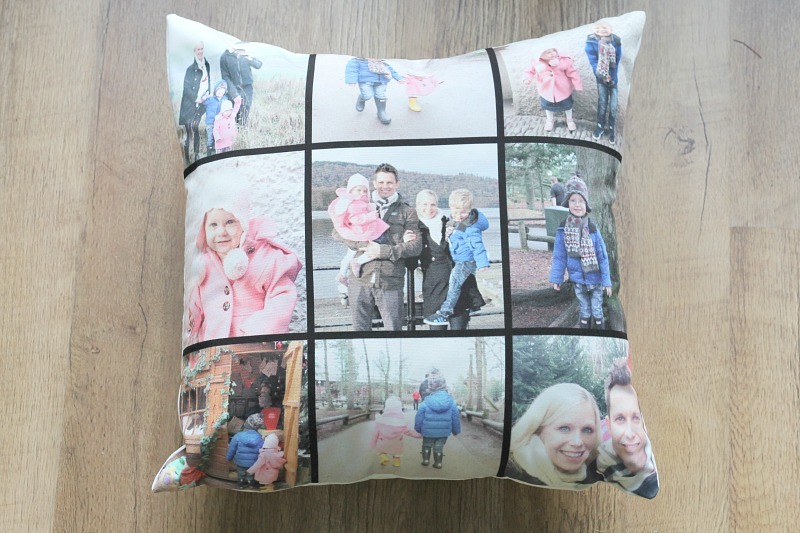 There are also templates for your cushion if you don’t want your own photos on it. 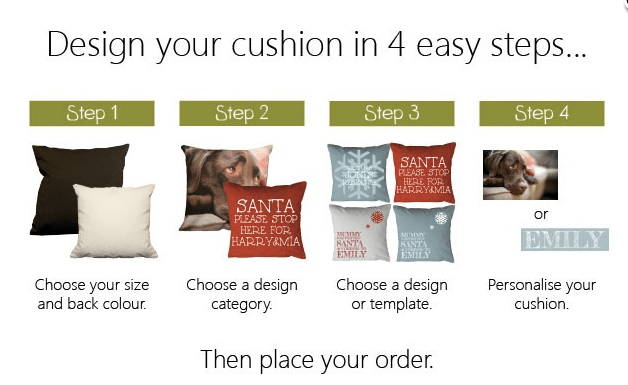 I am very excited to be offering a chance for one lucky reader to WIN a large personalised cushion of their own! It would be the best way to show off all your favorite memories of 2014! Such a fab give away, totally unique and special. Practical, beautiful, and nostalgic. What’s not to like? How awesome. I love this idea! These are so cool. Thanks for sharing this with your readers! What a super gift idea !